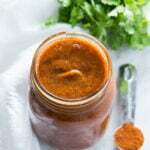 Once you try this Homemade Enchilada Sauce recipe you’ll never buy the canned version again! 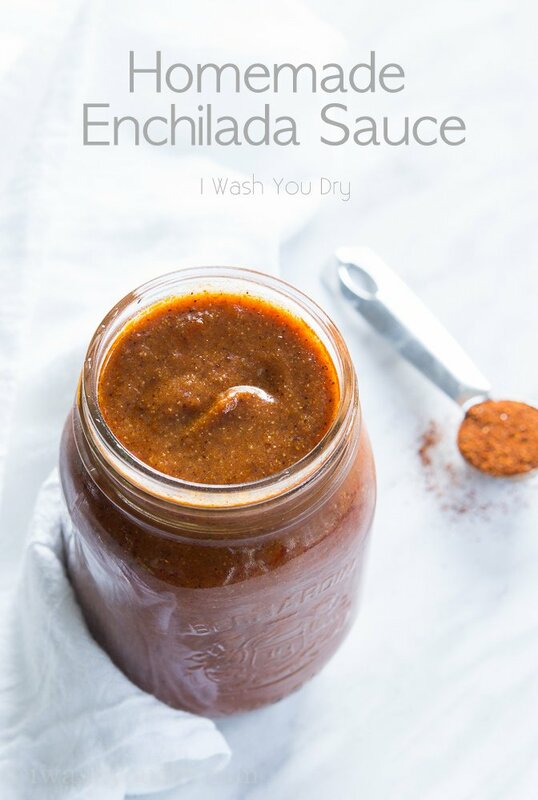 I use this enchilada sauce all the time… it’s ridiculously good, guys! I’ll make a double, sometimes triple batch of this sauce and store it in jars in my fridge just so it’s ready to go whenever I need enchilada sauce. In the summer months when I have loads of tomatoes I even make enchilada sauce from the fresh tomatoes. You know how the canned versions of enchilada sauce has that tin-flavor to it? They also tend to be super runny. I love this sauce because you can make it a little thicker so it really sticks to the enchiladas. But if you prefer it to be thinner you can add a little more chicken broth. Adjust the spices to your flavor preference, but I think the combination of what I have down there in the recipe is a real winner. 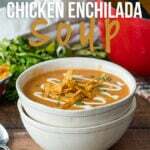 You can use it in my cheesy Chicken Enchilada Soup, there’s also my Chicken Tamale Casserole, oh and don’t forget about this classic Chicken Enchilada Casserole. 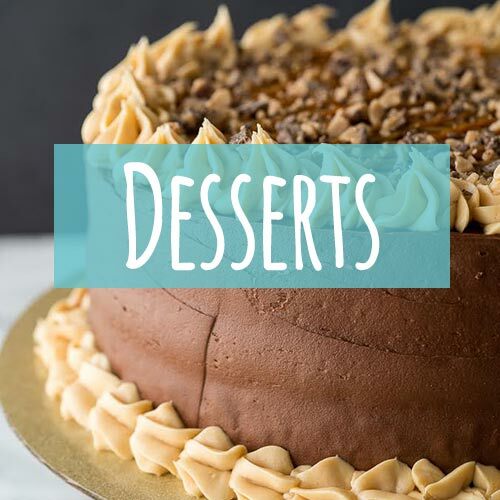 The possibilities are endless with this homemade version! 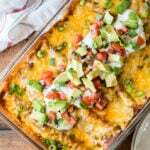 I’m sharing a delicious new enchilada recipe later this week, so be sure to pop on back to grab it! 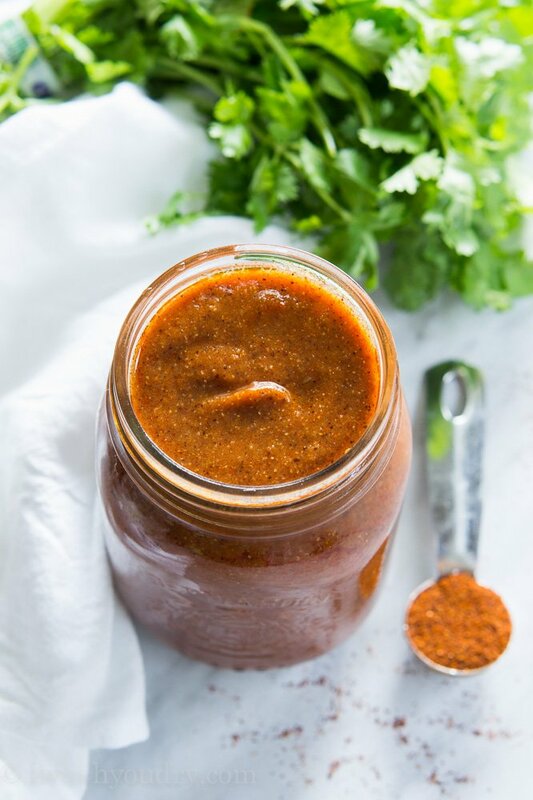 Once you try this Homemade Enchilada Sauce you’ll never buy the canned version again! Place the diced tomatoes in a blender or food processor and blend until smooth then set aside. Heat the oil in a large sauce pan over medium heat. Gradually add the flour and chili powder while whisking until the mixture is smooth and no lumps are present. 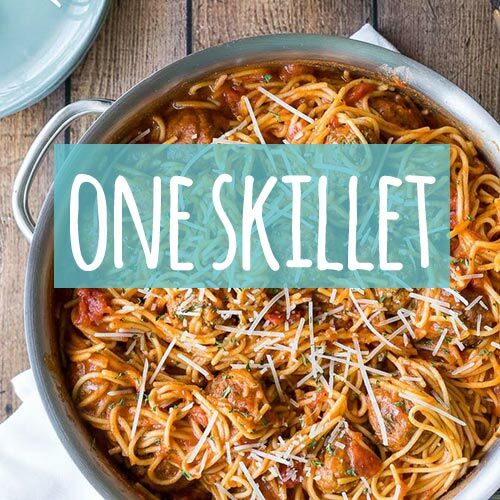 Continue to whisk while you pour in the blended tomatoes and chicken broth. Add the remaining spices and once the mixture begins to bubble slightly turn the heat to low and let simmer for 5 to 10 minutes, whisking occasionally, until the flavors have blended. Use sauce in a recipe, or store in an air tight container in the fridge for later use. Enjoy! 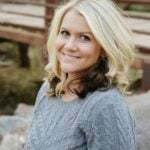 Is there anything you can use instead of flour, for a gluten free option? Can you please answer the question about the flour substitute? Would the same amount of corn starch work? This sounds wonderful! How long does it last in the refrigerator? I have never bought canned enchilada sauce. I cut out a recipe from a magazine a long time ago for chicken enchiladas and ithere was a recipe to make it. I will have to try yours. I’ve made this with fresh tomatoes from the garden too. You’ll have to boil the tomatoes, peel them, then remove the seeds. Then purée your tomatoes before adding to the sauce…OR you can use some canned tomato sauce. Both are great, one easier than the other. She’s still making iy from other ingredients to get the end result. Why comment if you’re not being positive or, actually commenting on the recipe?? Homemade enchilada sauce is the BOMB! 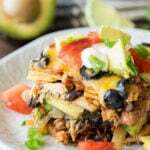 This recipe look amazing Shawn! Never made my own enchilada sauce before. As a serious Mexican food lover, this is definitely something I need to do! I learned how to make Enchilada sauce from a local Mexican restaurant. 1 of the cooks took ne in the kitchen and showed me. I use California chilies. Powder is just as good as dried ones. If you use dried chilies, make sure to pull out all the seeds. I also use the broth from the ground beef to flavor it. You should use beef broth instead of chicken. Make your rue, add everything in the blender. Wayla, you have a great sauce. I’ll make extra, add chili beans Pkg, and make semi homemade chili. It freezes well to. Looks fabulous Shawn! 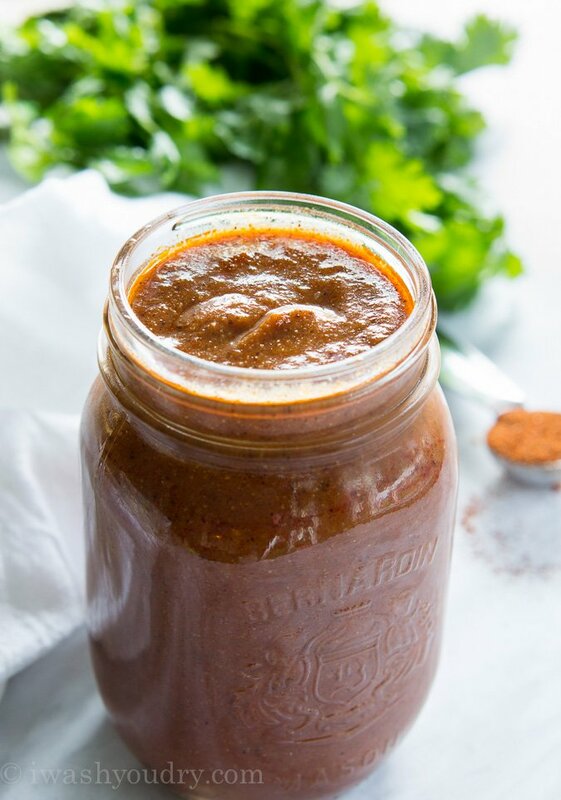 I love homemade Enchilada Sauce – it’s so much better than canned. I think it’s great you make a batch and keep it in the fridge. I need to do that. Pinned! I would have never thought to make enchilada sauce home made. That is brilliant and I bet it tastes out of this world amazing!